All Maryland Realtors invited to this free continuing education event. Earn up to 4.5 hours of Maryland CE under the instruction of Barbara Maloney. Keystone Custom Homes is the event sponsor. Hello Caroline, a member of our team will be in touch to confirm your registration! Thank you. Hi Mark, a member of our team will be in touch to confirm your registration! Thank you. Hi Louis, a member of our team will be in touch to confirm your registration! Using Google Maps, search for Sparta Court, Bel Air, MD. Eva Mar Farms is across the street – you will see Keystone signs! Please give us a call at 410-834-8455 if you have any additional questions. Thank you. Please confirm my reservation to attend the upcoming CE classes on June 6, 2018. Hi Chris, a member of our team will be in touch to confirm your registration! Thank you. I will be there! Thanks for the invite! Hi Edie, you’re welcome! A member of our team will be in touch to confirm your registration! Thank you. Count me in please along with Maryann Arciaga also a Realtor from Execuhome Realty. Hi Melissa, a member of our team will be in touch to confirm your registration! At that time, you can give information for Maryann as well. Thank you. Hi Carol, we apologize for the delay. A member of our team will be in touch to confirm your registration! Thank you. I would like to register for these CE classes. Please let me know what I need to do. Hi Karen! The class filled up quick and registration is now closed. We’ll be hosting another class in Forest Hill, MD later this summer and hope you’ll join us then! Good morning! Is there still room for the July 25th class? I’d like to attend. Thanks! Hi Lana, Yes! A member of our team will reach out to confirm your registration. Thanks! 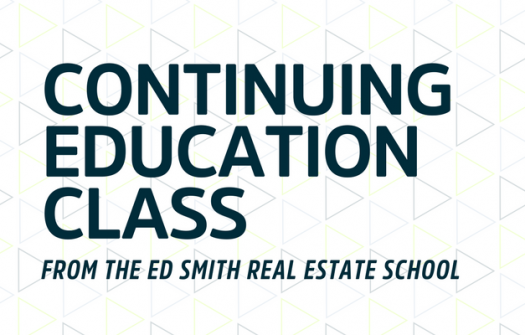 I would like to register for these Continuing Ed Classes! Thank you for offering these classes! Hi Rebecca! You’re welcome! A member of our team will be in touch to confirm your registration. We look forward to seeing you soon!